Beautifully hand made and effortless to wear, the Davolia is a Helen Kaminski summer must have. 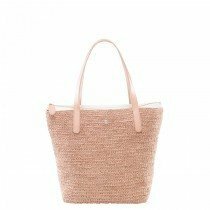 A classic mini tote shape in raffia crochet with supple leather handles, the Davolia's simplistic style works well for any occasion. Comes complete with an internal zip top drop-in lining.